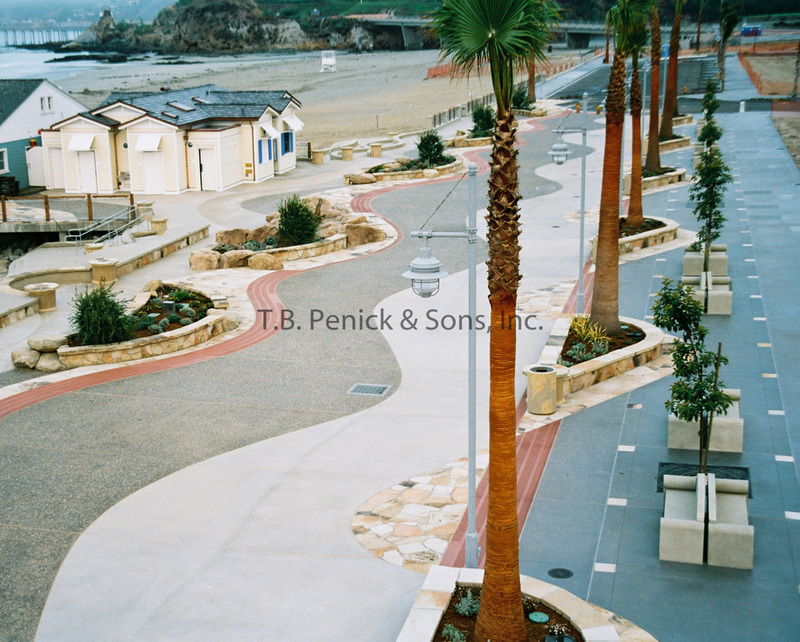 Located southwest of San Louis Obispo, Avila Beach was a project requiring large amounts of concrete paving. RRM Design Group had the vision; our job was to make that vision a reality in concrete. The challenge was to create a natural looking surface that simulated the beachfront. The solution was to use products that were indigenous to the area yet durable enough to withstand foot traffic. TBP worked closely with the designers for 2 years before the actual work began to achieve the right look. While maintaining ADA requirements, T.B. 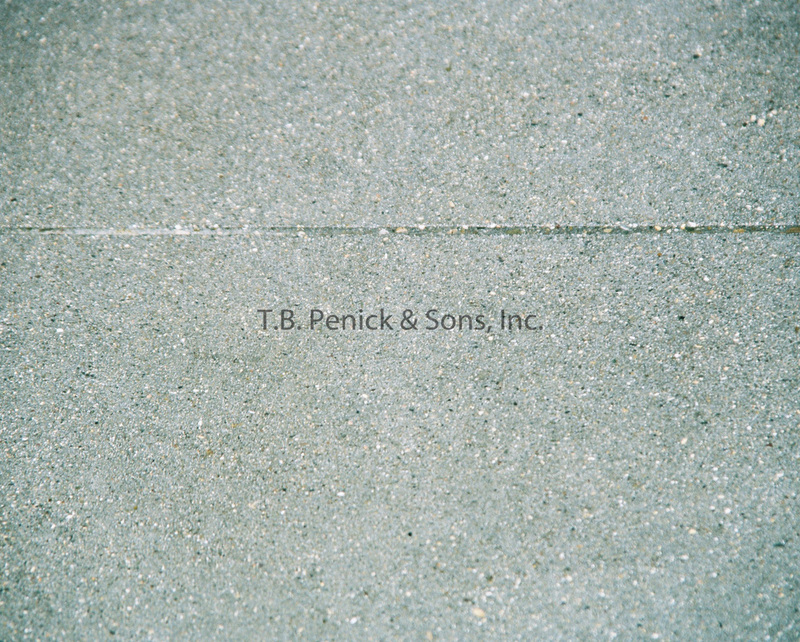 Penick modified the original ADA paving design to create a more aesthetically pleasing surface. At its completion, a reinvented beach promoting a harmonious situation for the artist owners, city officials, and the community emerged. The project features over seven blended seeded shell and aggregate finishes broadcast in a variety of intensities. The design intent was to create the appearance of sand on the beach. To mimic that in concrete, a heavier concentration of seeded aggregate and shells were placed on the side closest to the water with a progressively lighter aggregate seeding as the project moves further away from the water. The surface finish consists of a seashell finish with abalone, seashells, aggregates, and sand finishes interspersed with wave patterns. Various sizes of abalone seashells, from 1” to ¼” in conjunction with ¾” aggregates were applied by craftsmen to the concrete plaza and fire lane access. 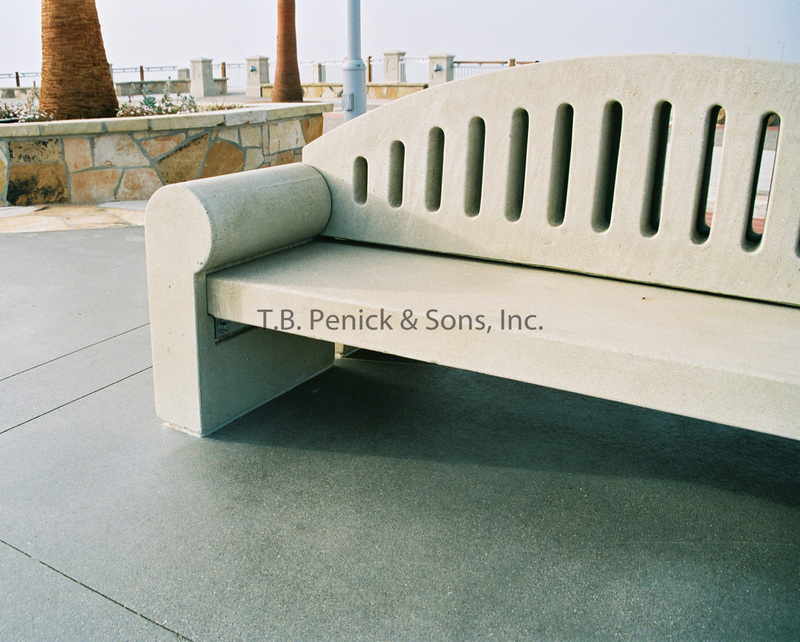 A sand finish was used on the cantilevered stepped seating. A template blasting process enabled intricate swirls and patterns. The result was a creative design that complemented the natural landscape.